Stir Fried Green Beans is an easy recipe and can be healthy if you replace the pork with chicken breast. 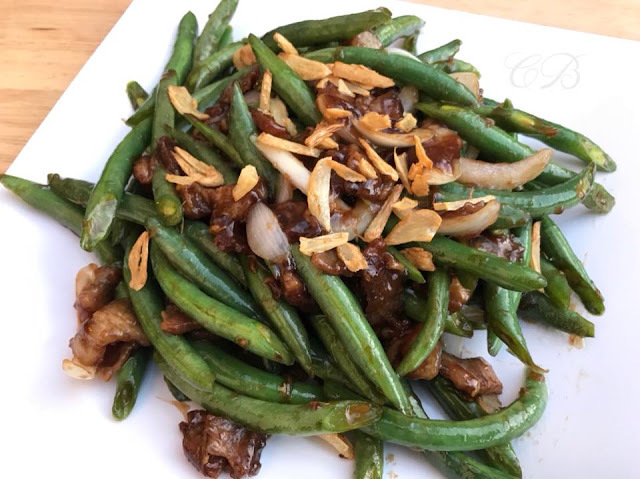 You can also use long beans (sitaw) instead of green beans. It just happened we got a lot of green beans from the market so I made up this recipe. It turned out pretty good specially if you like crunchy green vegetables. Using a wok, add 2 tbs. cooking oil. Heat in medium and add garlic. Fry until garlic turns golden brown and crispy. Remove from the wok and set aside. Add a tbs. of cooking oil to the wok. 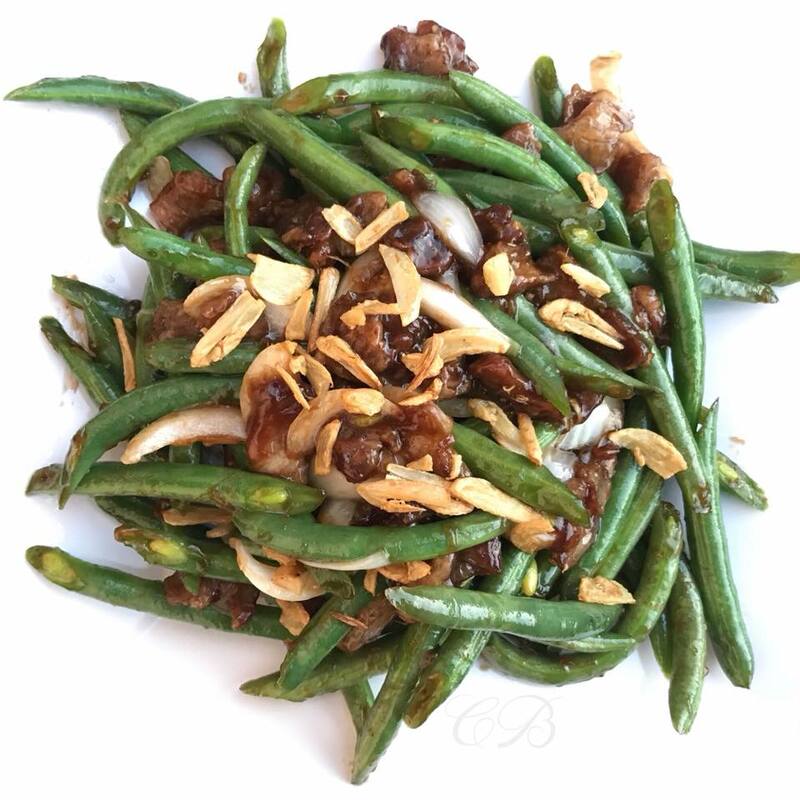 Add green beans and stir fry for 5 minutes or until it turns crispy and half cooked. Remove from the wok and set aside. Add ginger to the wok, saute until fragrant. Add pork slices and stir. Continue cooking until pork turns brown and crispy. Combine all above brown sauce ingredients. Set aside. Add fried green beans to the wok. Stir well and continue cooking for few minutes. Once the beans is fully cooked reduce heat to low and pour in the brown sauce and mix well. Add onion slices and mix well. Add fried garlic and mix well. Remove dish from the wok and transfer in a serving dish. Serve hot and enjoy.